With September comes change. Summer becomes autumn, nights become shorter and the leaves begin to wither and fall. September brings great change to Bywyd Gwyllt Glalsyn Wildlife too. Soon, the ospreys will leave us and fly south for the winter; West Africa we suppose. At least they won’t have to worry about frosty mornings and heavy snow! 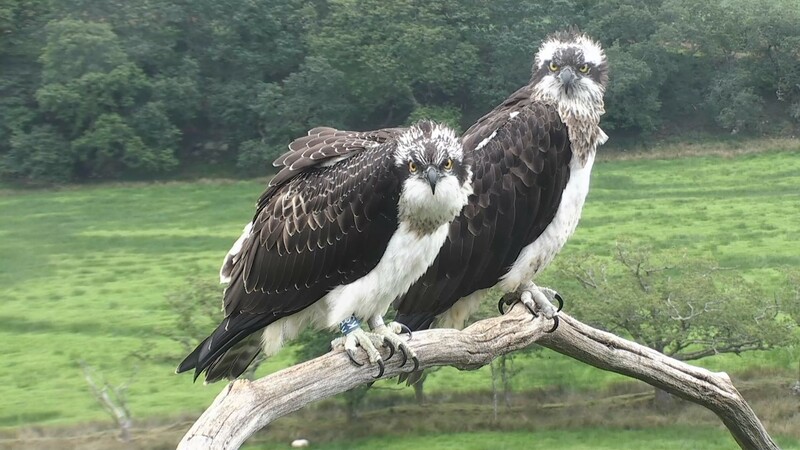 We have spent the last five months and a half watching and protecting the Glaslyn pair and their offspring as they grow and mature. 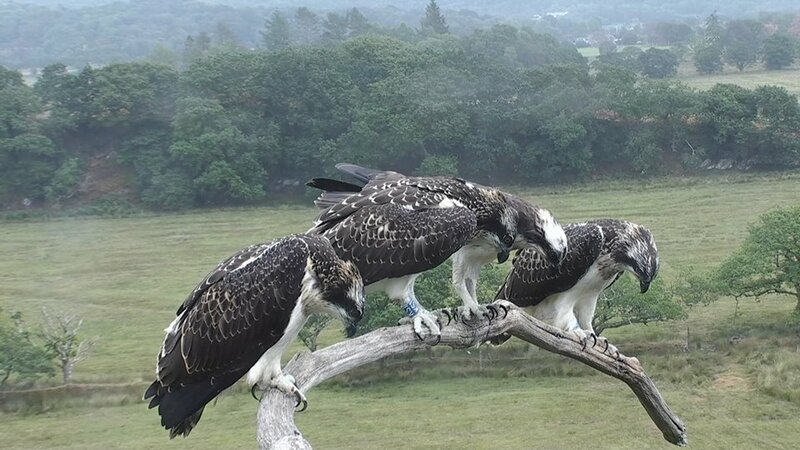 Although it is Mrs G and Aran who have the toughest job, raising three feisty chicks isn’t easy after all. Through rain storms and scorching sun Mrs G has shaded them while Aran has provided them with plenty of fish and the most varied diet we’ve ever witnessed. He kept us on our toes and it has been fun anticipating what he might bring to the nest next. 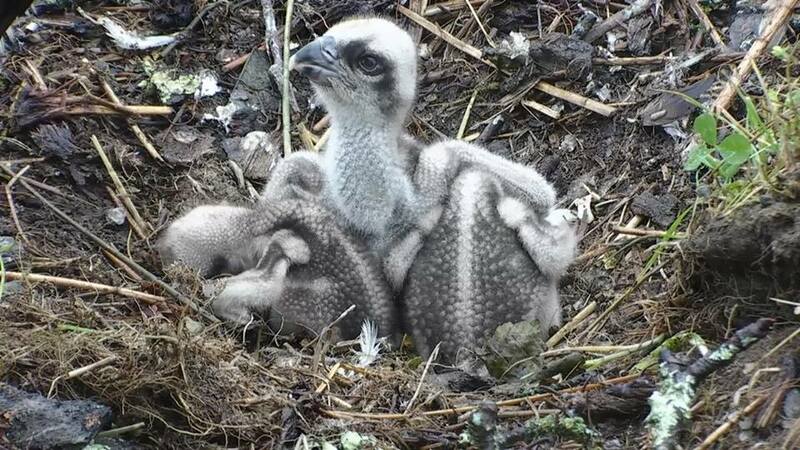 By now the chicks, or young ospreys, have developed personalities of their own and none more so than middle chick KS1. A dominant and greedy osprey if ever we did see one. This confidence should be in her favour on the treacherous journey south and even gives us hope she’ll survive to return to breed in a few years. 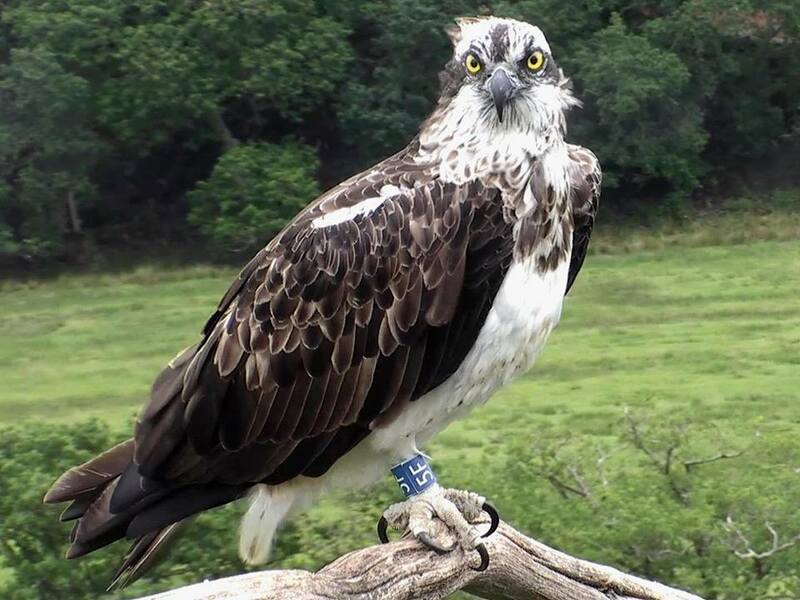 We believe that 5F, the single female who has taken the nest at Pont Croesor as her home, has already left Wales for her migration journey. We have not seen her since Wednesday 29th August. Since she has no partner or young to protect, she will already be on her way to a warmer country, taking advantage of the weather and fishing opportunities along the way. How nice it would be to have wings, wouldn’t you agree? We have welcomed many visitors to the centre this year. Some are familiar faces, some are following the ospreys for the first time, others are supporting us from heir homes far away from North Wales and others have voluntarily flown through the air on Zip World Blaenau Ffestiniog to raise money! Yet again, the supporters and selfless volunteers have ensured another successful season here at Bywyd Gwyllt Glaslyn Wildlife. As well as the visitors, we have welcomed many schools to BGGW this year. As part of our education programme we have been visiting local schools to give presentations on the birds with pupils visiting on school trips to witness the ospreys first hand. So far, 220 school children have been introduced to Mrs G and her family, and we only hope their wonderful story and the local wildlife will have inspired naturalists of the future. We started a weekly nature club for children called Clwb Gweilch Glaslyn during which we’ve been watching birds, catching beasts, foraging for fungi and rock pooling on the beach. 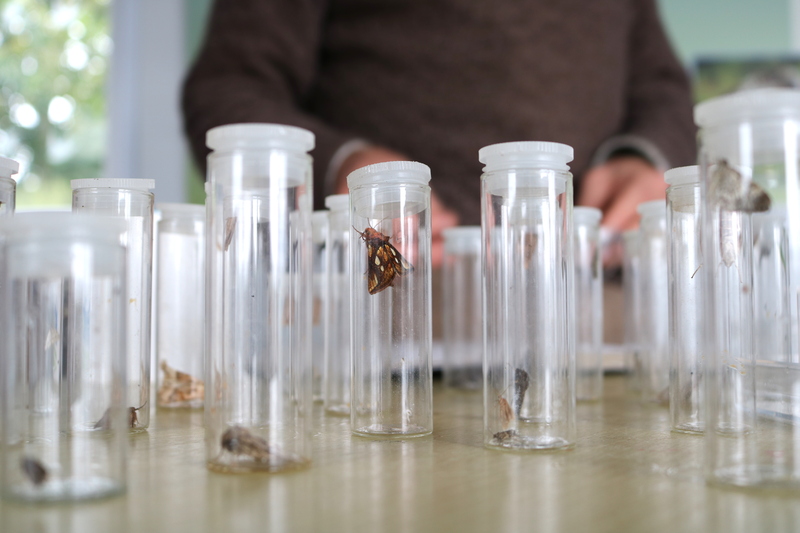 That’s aside from the other special events held at Glaslyn like our bat walks and moths show and tell. 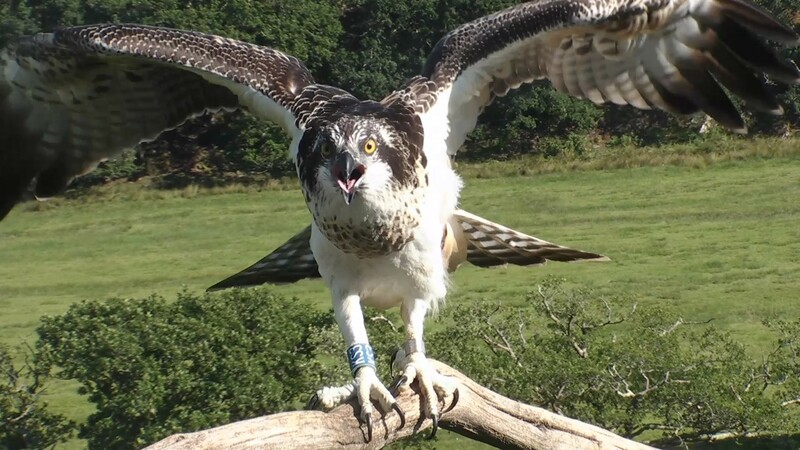 Although it may be sad to see the ospreys leave just for a while, there’s no doubting we have enough planning and preparation work before 2019 comes round the corner! 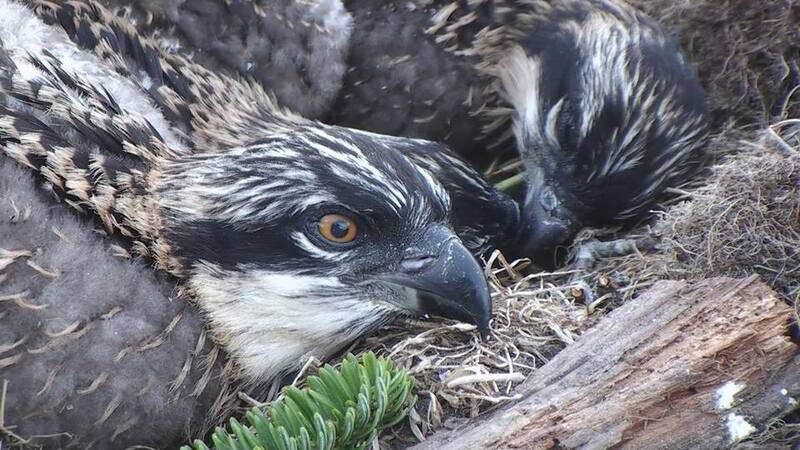 For now, all five of the osprey family are still with us and we will make the most of the time we have with them. The visitor centre remains open daily 10-5 until Sunday 16th September, so why not pop in to see us, and the ospreys, for one last time before they leave. This season has been exciting, challenging and rewarding and it is always a privilege to witness the lives of these magnificent birds.